Jennie Willoughby, the ex-wife of former White House staff secretary Rob Porter, criticized President Trump and others for their continued support of Porter following abuse allegations. "If the most powerful people in the nation do not believe my story of abuse in the face of overwhelming evidence, then what hope do others have of being heard?" Willoughby wrote in a column for Time. President Trump has emphasized Porter's claims of his innocence and said false accusations can "shatter" people's lives. 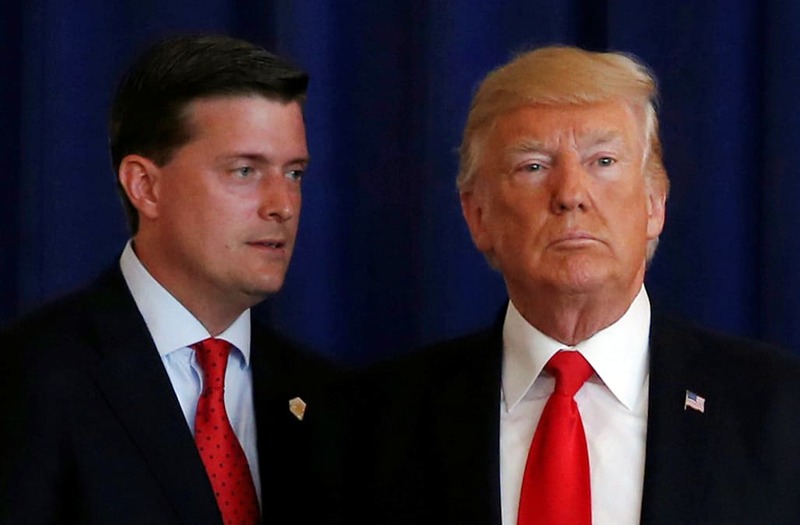 Jennie Willoughby, the ex-wife of former White House staff secretary Rob Porter, slammed President Donald Trump for continuing to support his former aide in the face of what she calls "overwhelming evidence" of his domestic abuse. In a column published in Time magazine on Sunday, Willoughby said she was "floored" by Trump's defense of Porter, less than a week after Willoughby and Colbie Holderness, another of ex-wife of Porter's, both accused him of abusing them when they were married. "My friend turned to me and said, 'The President of the United States just called you a liar,'" Willoughby wrote. "Yes. And so he did." Porter resigned from his White House post on Wednesday after news outlets published photos of black eyes that Holderness, who was married to Porter from 2003 to 2008, said her ex-husband gave her while they were married. In remarks with reporters on Friday, Trump urged people to remember that Porter had claimed "very strongly" that he was innocent. Trump also tweeted on Saturday that people's "lives are being shattered and destroyed by a mere allegation. Some are true and some are false." According to Willoughby, Trump's behavior reveals a tendency many people have to deny abuse. While the #MeToo movement spurred people to come forward to discuss and address abuse, especially sexual assault, Willoughby argued Trump's response to Porter is a major step backwards. "This is a societal issue, and the tone has just been reset by the White House," Willoughby wrote. "If the most powerful people in the nation do not believe my story of abuse in the face of overwhelming evidence, then what hope do others have of being heard?" Willoughby, Porter's wife from 2009 to 2013, provided news outlets with a copy of a 2010 protective order she filed against her ex-husband. She told CNN that she lived in a state of "low-grade, constant terror" during her marriage. Willoughby said she was unsurprised by the White House's hesitancy to admit that a colleague could have a history of abuse. "Where there is denial, there is underlying fear," she wrote. "Where there is abuse, there is cover-up." Willoughby ended her piece with a reassurance to other survivors of abuse that they are not alone. "In light of the President's and the White House's continued dismissal of me and Colbie, I want to assure you my truth has not been diminished," she wrote. "I own my story and now that I have been compelled to share it, I’m not willing to cover it up for anyone."